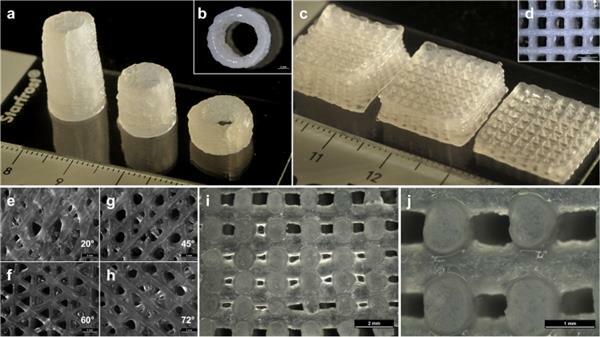 Within the field of bioprinting, the potential benefits of using clay-based printing materials are becoming increasingly apparent. As a recent research project by a team from the University of Southampton and the Technische Universitat Dresden in Germany has shown, certain types of clay can enable the bioprinting of human stem cells. More specifically, the joint research team has been working with Laponite®, a synthetic nanosilicate clay material, to create a 3D printable bioink for making human mesenchymal stem cell structures. The innovative bioink is made from a combination of Laponite®, alginate, and methylcellulose. According to the researchers, the Laponite® clay possesses a number of properties which make it suitable for bioprinting scaffolds and for drug delivery applications. Laponite®, a material typically used as a thickener or filler in the cosmetics industry, is especially notable for its shear thinning properties which help give the bioink an improved level of printability. The researchers compare shear thinning properties to ketchup in a glass bottle, which only begins to flow and move when a force—whacking the end of the bottle—is applied.